With some 1,200 brands displaying their wares and an estimated 700,000 visitors streaming through the turnstiles, it's safe to say the 2018 EICMA show was a resounding success. The annual event is the world’s biggest international motorcycle exhibition, and the 76th edition held in Milan from November 6 to 11 had plenty of eye candy for all, with some surprise appearances, a few brash new-model reveals (several of them electric), slick prototypes, and even its fair share of ho-hum news. Here’s a quick cross section of some of the sights. 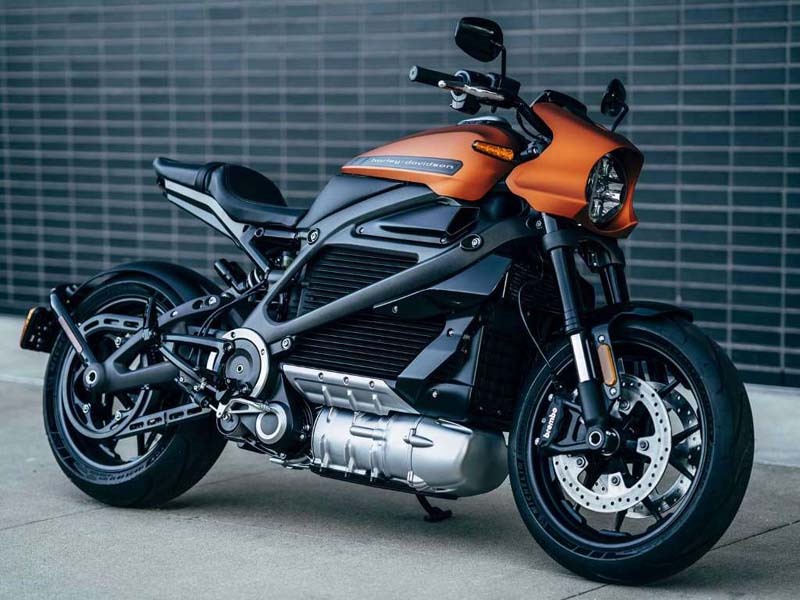 Seems electric bikes created quite the, uh, buzz at this year’s EICMA Show, with the Harley-Davidson LiveWire finally stepping under the spotlight after five long years of preproduction hype. The EICMA reveal was allegedly a production-ready motorcycle with a permanent magnet electric motor and a RESS (Rechargeable Energy Storage System, or main battery) composed of lithium-ion cells, all packed into an aluminum frame and supported by a fully adjustable Showa suspension. Other key details, though, were maddeningly sparse, with no mention of price, range, or power—you know, the things that we care about. But, if nothing else, Harley at least showed that it was ready to switch up the status quo, with an e-bike in a decidedly sporty form. Year of the e-bike? Maybe. 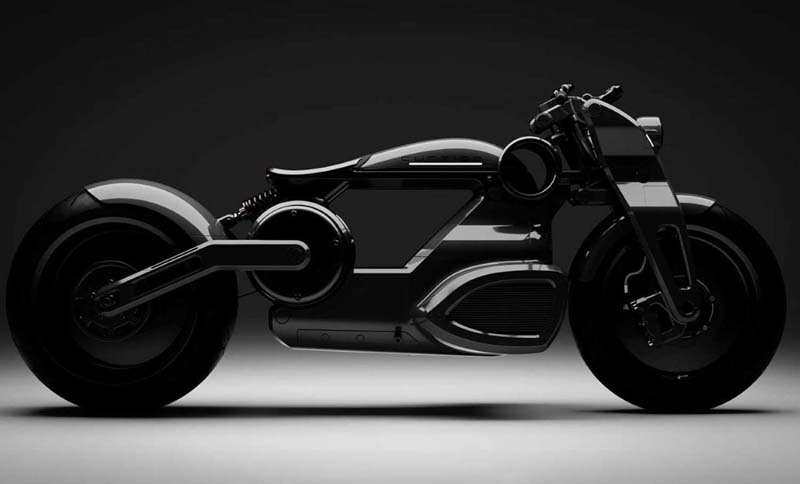 When Curtiss Motorcycles unveiled the first of its fully electric bikes at the 2018 Quail Motorcycle Gathering, that 2020 Zeus concept model felt blocky and unfinished. Thankfully, the firm has followed up with these two absolutely killer, visually compelling concepts at EICMA. The long-wheelbase, sci-fi-inspired Zeus Bobber and its more racy, but still sparse Zeus Café sibling are said to be production-ready, with new battery and storage tech slotting into the more exciting silhouettes. 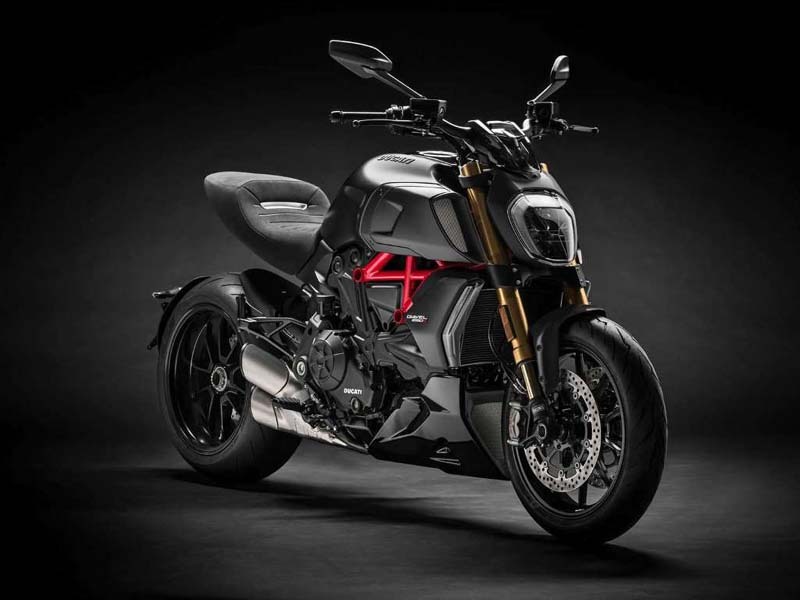 Another major development was the unveiling of the new Ducati Diavel 1260 and 1260 S. The second-generation Diavel remains faithful to the up-yours attitude carried by the Italian marque’s first fat-tired bruiser, but with some key changes, including a Testastretta DVT (Desmodromic Variable Timing) 1262 engine which pumps out a claimed 159 hp, fully adjustable front and rear suspension (on the S model), and a full suite of electronic rider aids. If the design brief was to pen a minimalist, progressive design for two wheels (with a touch of flat trackishness), the Svartpilen 701 nailed it. 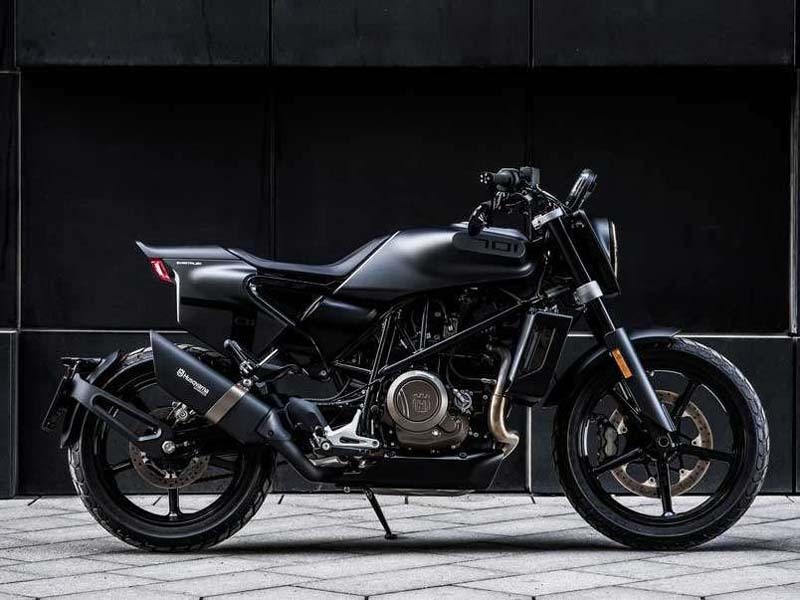 Husky’s Svartpilen joins the manufacturer’s line of neo-retro thumpers for 2019, sharing many of the same components with its café-styled Vitpilen 701 sibling but more upright and flat-track-inspired, and with a darker, brooding paint scheme. With its gorgeous, thoroughly modern “blade” girder fork, Royal Enfield’s wild retro-modern KX concept bike very nearly stole the show. The 1,146cc V-twin-powered design was inspired by Enfield’s long-lost side-valve KX model from the late 1930s, and developed from scratch in just six months. 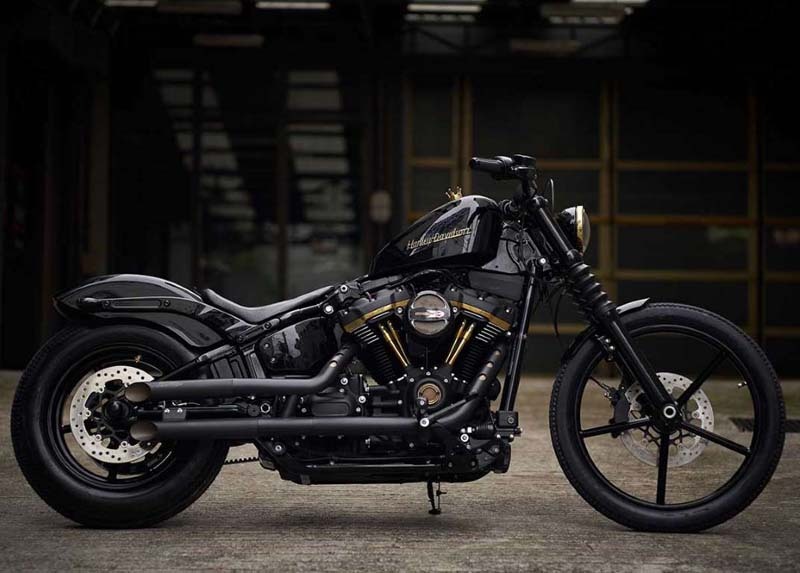 The classic silhouette includes a cantilever solo seat and a completely exposed rear wheel, hidden only by the stacked pipes on the right side. The new bike was modeled on an original 1937 KX sitting in the studio. At the 2018 EICMA Show, Enfield also took advantage of the world stage to show the full production versions of its highly anticipated 650 twins, the Interceptor INT650 and the café-styled Continental GT 650, for the first time to the public. 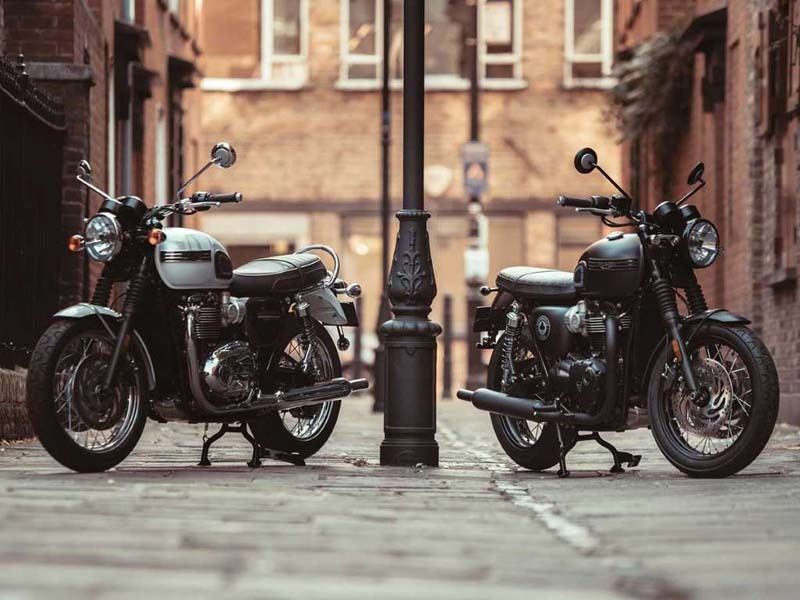 Royal Enfield INT650 and GT 650 At the 2018 EICMA Show, Enfield also took advantage of the world stage to show the full production versions of its highly anticipated 650 twins, the Interceptor INT650 and the café-styled Continental GT 650, for the first time to the public. Although it they were unveiled just prior to the EICMA show, Triumph’s new Scrambler 1200s got plenty of love in Italy too. The Brits claim the Scrambler 1200 brings “serious off-road chops" to the table, with a 21-inch front wheel, fully adjustable front and rear suspension, and gobs of of ground clearance. 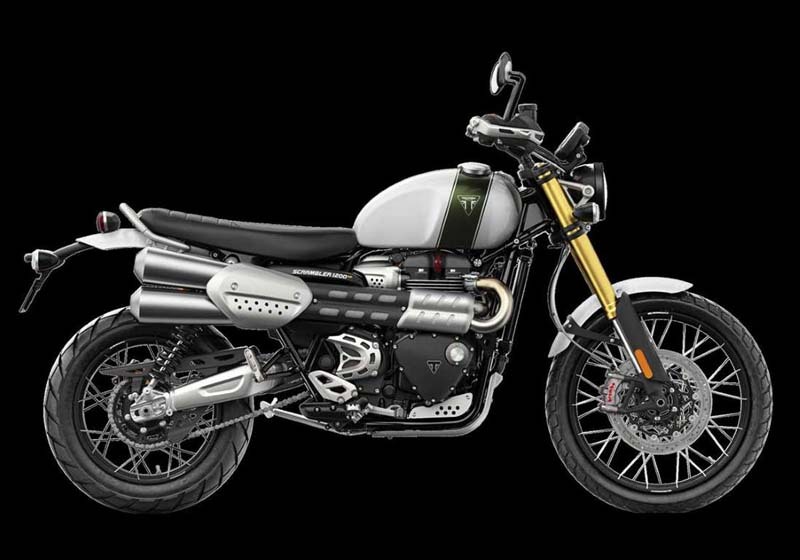 In the engine room you have the reliable liquid-cooled 1,200cc Bonneville engine now getting a dedicated “Scrambler” tune, and putting out a claimed 88 bhp and 81 foot-pounds of torque. Triumph 1200 Scrambler XC and XE Although it they were unveiled just prior to the EICMA show, Triumph’s new Scrambler 1200s got plenty of love in Italy too. 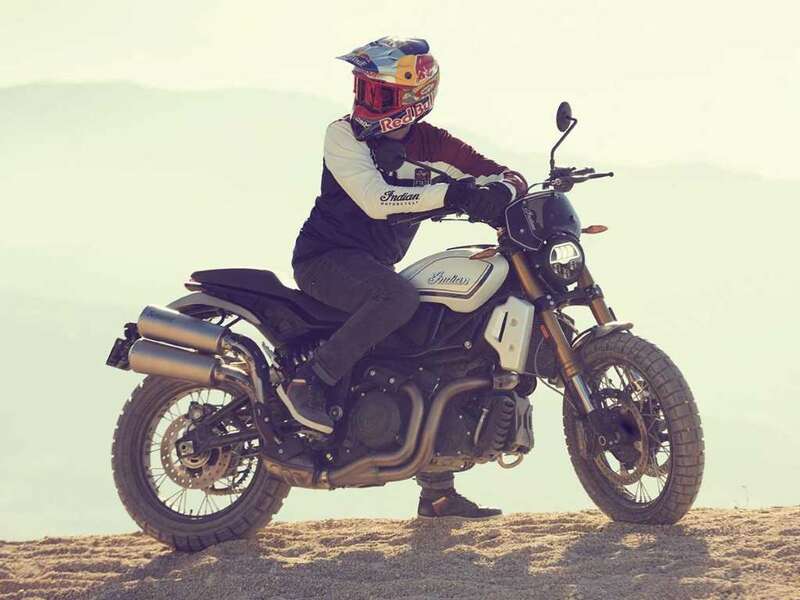 The Brits claim the Scrambler 1200 brings “serious off-road chops" to the table, with a 21-inch front wheel, fully adjustable front and rear suspension, and gobs of of ground clearance. In the engine room you have the reliable liquid-cooled 1,200cc Bonneville engine now getting a dedicated “Scrambler” tune, and putting out a claimed 88 bhp and 81 foot-pounds of torque. No earth-shattering news here, but we’re diehard Bonnie fans, so there you go. Triumph rolled out two tribute models based on its stalwart Bonneville T120 platform, with the T120 Ace and T120 Diamond editions celebrating the universally beloved machine mostly cosmetically, but in quite different ways. The 2019 Bonneville T120 Ace is a collaboration with the now-legendary Ace Café in London, and rolls in with a menacing vibe, highlighted by a tuck-’n’-roll seat, blacked-out styling, and, yes, that ace of clubs logo. Meanwhile, the 2019 Bonneville T120 Diamond channels the 1959 Bonnie, with copious chrome bits and special-edition paint. 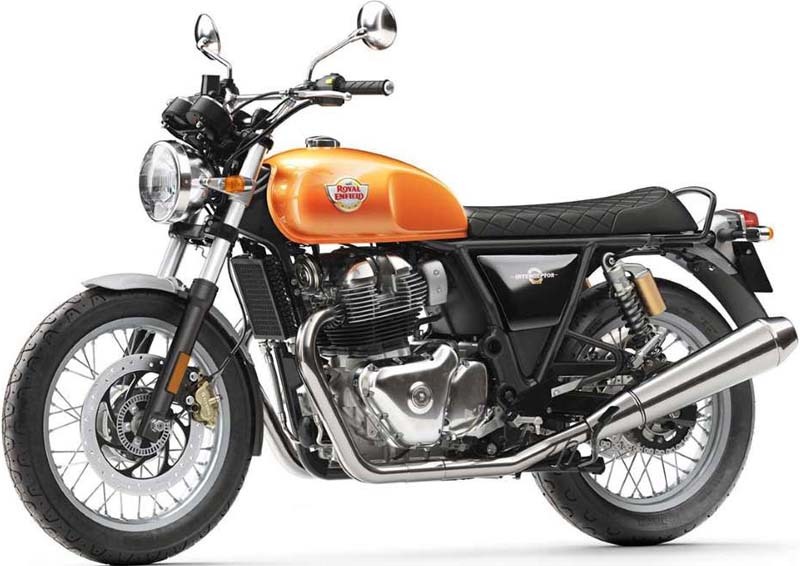 Triumph Bonneville T120 Limited Editions No earth-shattering news here, but we’re diehard Bonnie fans, so there you go. Triumph rolled out two tribute models based on its stalwart Bonneville T120 platform, with the T120 Ace and T120 Diamond editions celebrating the universally beloved machine mostly cosmetically, but in quite different ways. 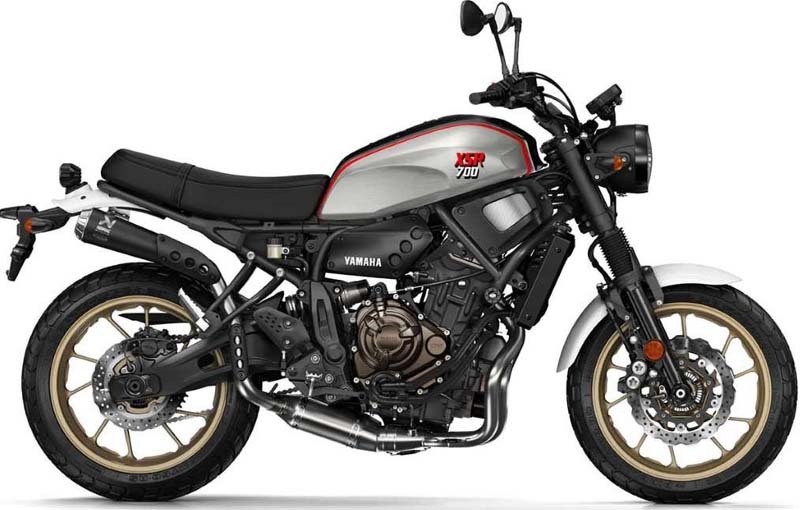 Not a new model or a custom, Yamaha’s Tribute XSR700 XTribute is a not-so-subtle nod to the XT500, an air-cooled four-stroke single that was popular 40 years ago and went on to become one of Europe's best-loved motorcycles. The XT’s stone-simple design, accessible power, and versatility made it a hit with the masses, and Yamaha’s imbued the modern XSR with those same XT-flavored colors and classic scrambler looks to pay homage with a contemporary twist. Unfortunately, it’s a Europe-only model right now, but we can always hope. If it feels like the V7 III Stone was announced eons ago, well that's probably cause it was, back in April. But Moto Guzzi still saw an opportunity for the newish 2019 model to make its "debut" at EICMA, with the third generation of the beloved V7 line being shown off front and center, along with the more recently announced V9 Bobber Sport. Moto Guzzi V7 III Stone If it feels like the V7 III Stone was announced eons ago, well that's probably cause it was, back in April. 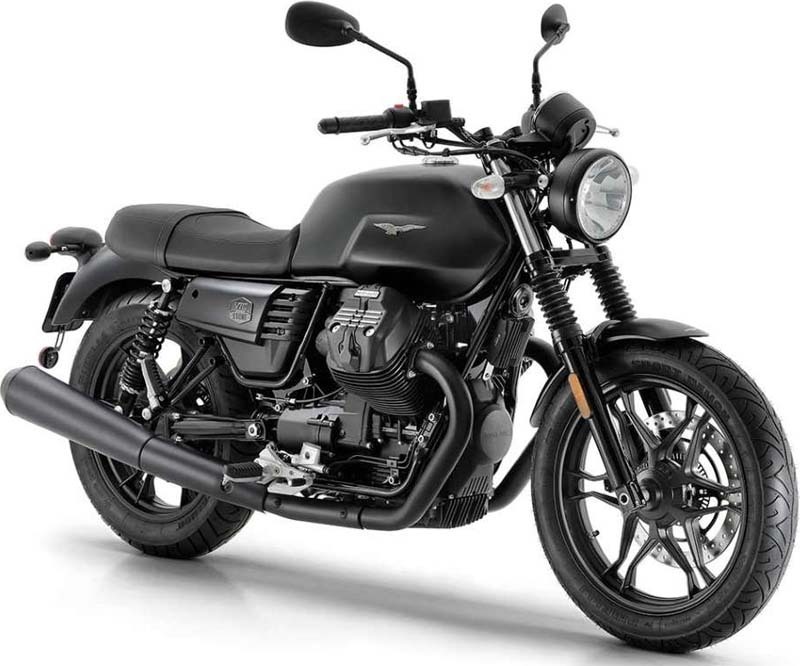 But Moto Guzzi still saw an opportunity for the newish 2019 model to make its "debut" at EICMA, with the third generation of the beloved V7 line being shown off front and center, along with the more recently announced V9 Bobber Sport. Last but not least, Indian released its FTR 1200 accessory lineup at EICMA, as well as four collections of parts, or kits—Tracker, Rally, Sport, and Tour—that allow riders to transform the FTR 1200 into the style that best fits their riding and/or styling preference.